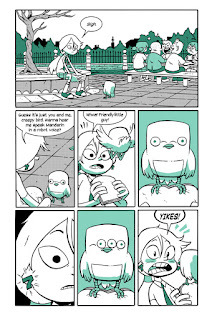 Hopper is the new student at Stately Academy, and she pretty much hates it there. She gets hit in the head with a glop of pudding on her first day and then almost gets into a fight. Her classmates are not very inviting. The teachers are creepy, as are the principal and the janitor. 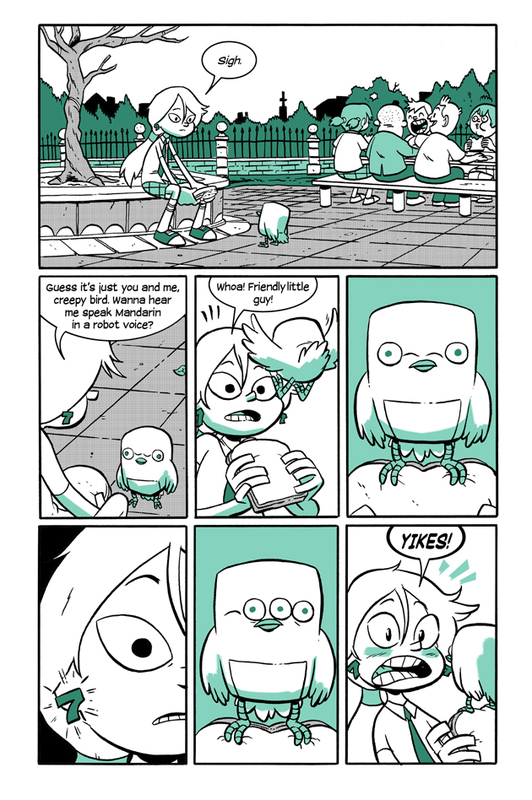 And there are weird birds everywhere, and they get weirder once they see certain numbers. Hopper eventually befriends Eni, a student who has been at the school since kindergarten and who has a penchant for basketball, math, and coding. Together they start to unravel the mysteries about campus, such as why certain doors are always locked and what those birds are up to. Along with each revelation comes new mysteries, such as an enigmatic, large green man who has the principal's ear. This book ends with a cliffhanger that is to be resolved in the next volume, but in the meantime there is a website avid readers and puzzle solvers can visit to tide them over. Overall, I think that the mysteries here are pretty compelling, and I had no problem with the lack of resolution. 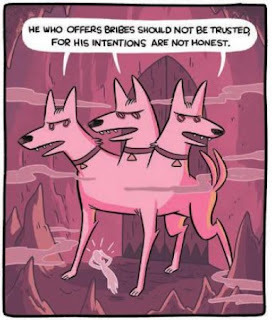 I also really enjoyed the cartoony artwork that conveys both emotion and movement very well. 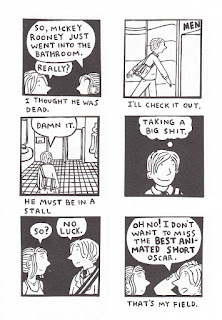 But I still felt a little let down by this book, mostly because I felt it was a little wordy in places. I get that they are teaching elementary concepts about computer science and coding via the text passages, but I thought the exposition bogged things down from time to time. This book is a collaboration between Gene Yang and Mike Holmes. Yang is one of the premier comics creators working today. 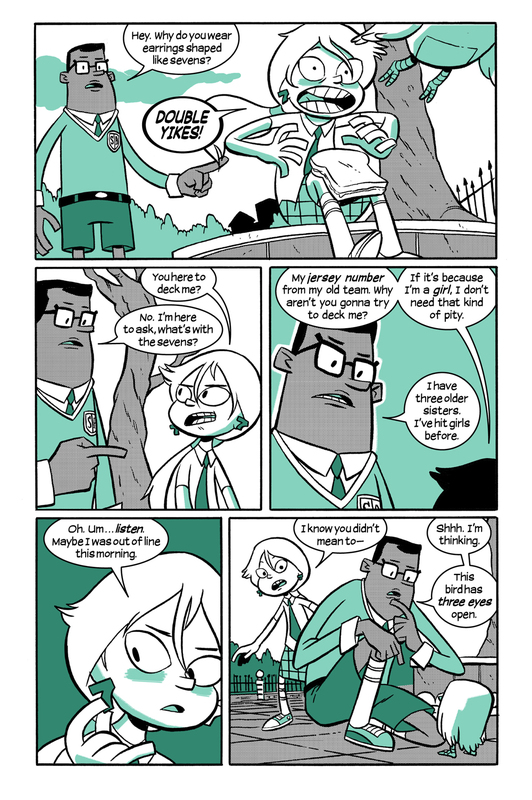 He won the Printz Award for his graphic novel American Born Chinese, and he explores themes of immigration, belief, identity, and growing up in his many works, including The Eternal Smile, Level Up, The Shadow Hero, the twin volumes Boxers & Saints, and his current run on Superman (yes, THAT Superman). Holmes is best known for his work on the weekly comic True Story and drawing some Adventure Time comics. This article sheds more light on the origins of this book, as does this interview with Yang. All of the reviews of this book I have read have been celebratory. 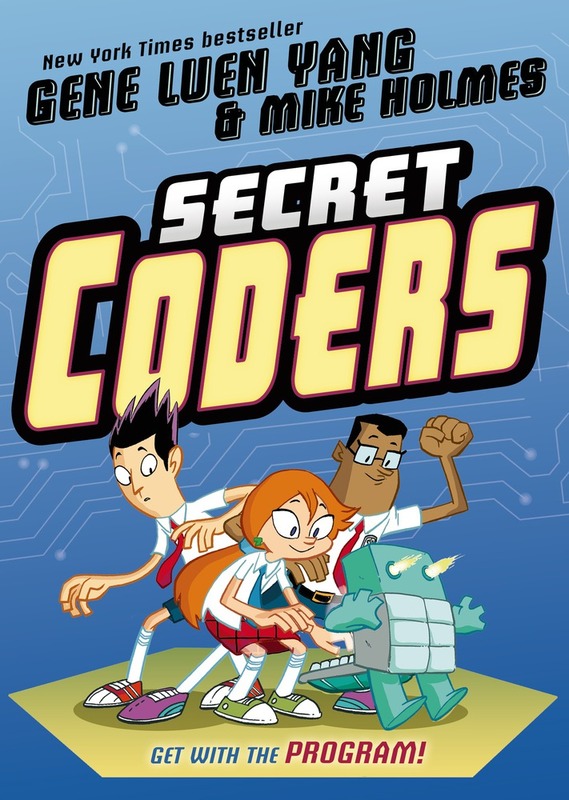 Publishers Weekly commented that "Holmes’s bold cartoony illustrations are a natural fit for Yang’s geeky enthusiasm, and their combined effort offers an enticing first taste of coding that may very well yield some converts." Kirkus Reviews wrote that "the friendly art and nifty concept will leave readers eager for the next book." Dustin Cabeal called it "one of the best books I’ve read all year." 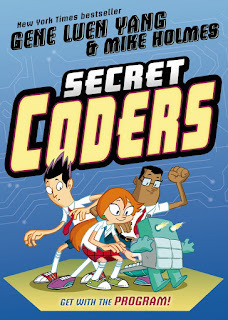 Secret Coders was published by First Second, and they have a preview and much more here. 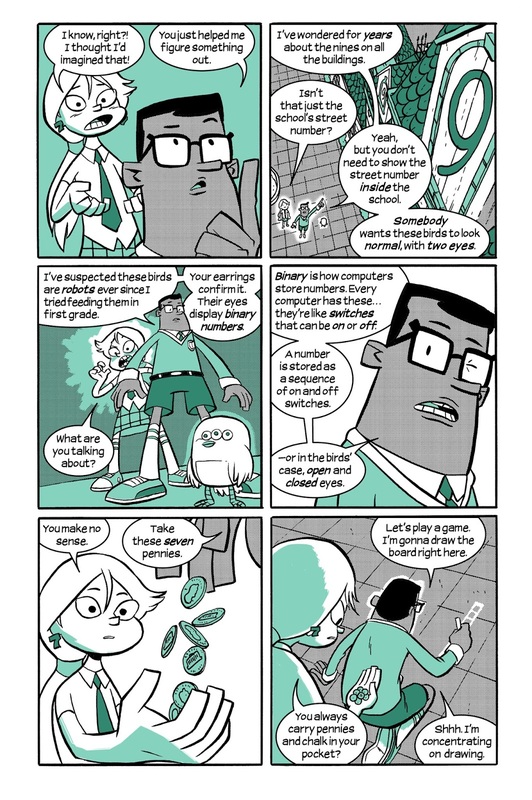 Fable Comics has lots of "bossy" stories that come with morals that should suit a variety of young readers. Some of the stories end with a twist, sometimes with a laugh and sometimes tears. Most of these tales come from the pages of Aesop's Fables, and there are lots of familiar favorites like "The Fox and the Grapes" and "The Ant and the Grasshopper," but there is a healthy smattering of more obscure others from India, China, Europe, and Angola. 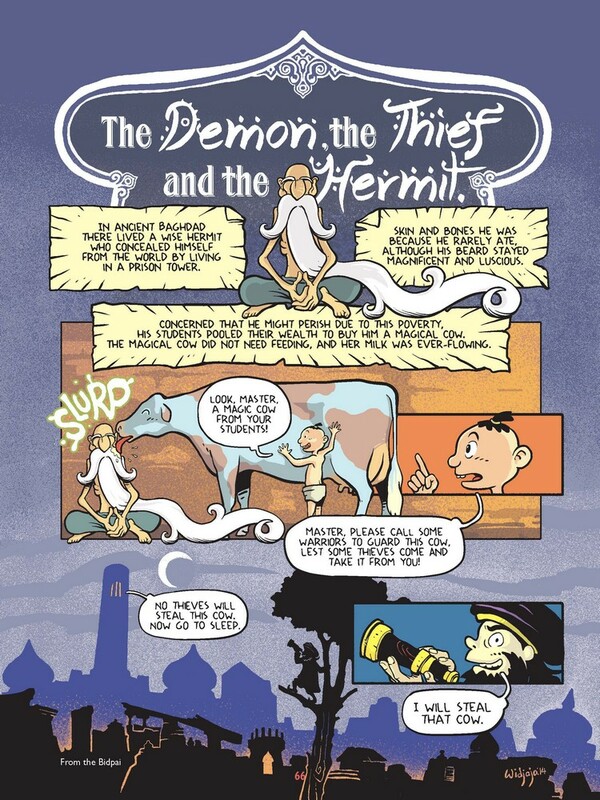 The all-star team of creators in this book, which also includes personal favorites Corinne Mucha, George O'Connor, R. Sikoryak, and Eleanor Davis, was assembled by editor Chris Duffy. He has also edited the volumes Fairy Tale Comics, Nursery Rhyme Comics, and Above the Dreamless Dead. He speaks more about his work on Fable Comics in this interview. All of the reviews I have read about this book have been favorable. 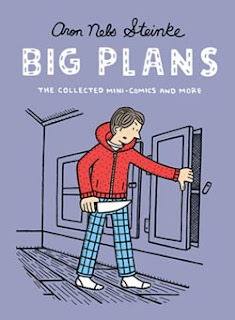 Marissa Lieberman wrote for the School Library Journal, "This collection of humorous, child-friendly pieces should be a first purchase for school and public library collections." The folks at Kirkus Reviews gave it a starred entry, calling it "Funny, diverse, engaging." You can read more reviews and see more previews at the multiple sites taking part in the book's blog tour. 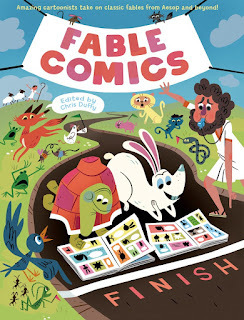 Fable Comics was published by First Second, and they have much information and a preview available here. 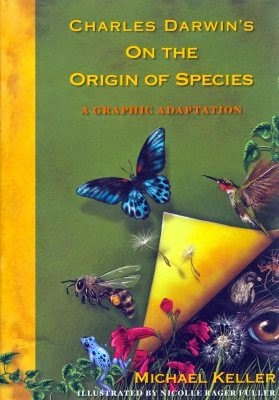 Nominated for two 2010 Eisner Awards (for Best Painter and also Best Adaptation of Another Work), Charles Darwin's On The Origin of Species offers readers insights into one of the most influential and contentious books in human history. What I think is most admirable here, apart from the gorgeously detailed artwork, is how much of the original text is excerpted throughout this book. I won't say that it was an easy read, because it is still plenty dense with academic language and thought, but the pictures go a long way in providing more context for understanding the complex theories within. Although it is not a leisurely read, this book is beautifully rendered and informative. Following the adaptation of the text is an afterward, where Darwin gets to comment on scientific discoveries in the fields of geology, biology, archaeology, paleontology, and genetics that add finer points to his theories of natural selection and evolution. 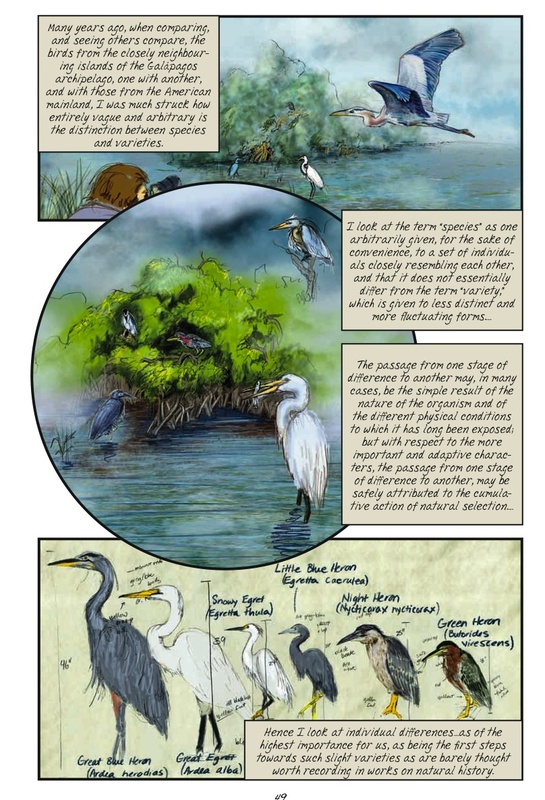 There may be some who have reservations about putting words into Darwin's mouth, but I think it provides a fine synthesis to the ideas presented here while also showing how they are being applied in scientific inquiry over time. This book is the collaboration between writer Michael Keller and illustrator Nicolle Rager Fuller. Keller is a Pulitzer Prize-winning journalist and writer who writes primarily about ecological and environmental concerns and has published in a great number of popular periodicals. 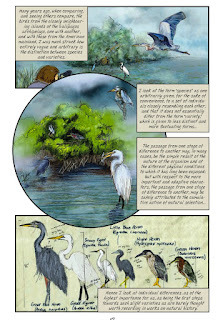 Fuller is an accomplished science and technology artist whose work has appeared in many academic and professional venues. All of the reviews I have read about this book have been full of praise. 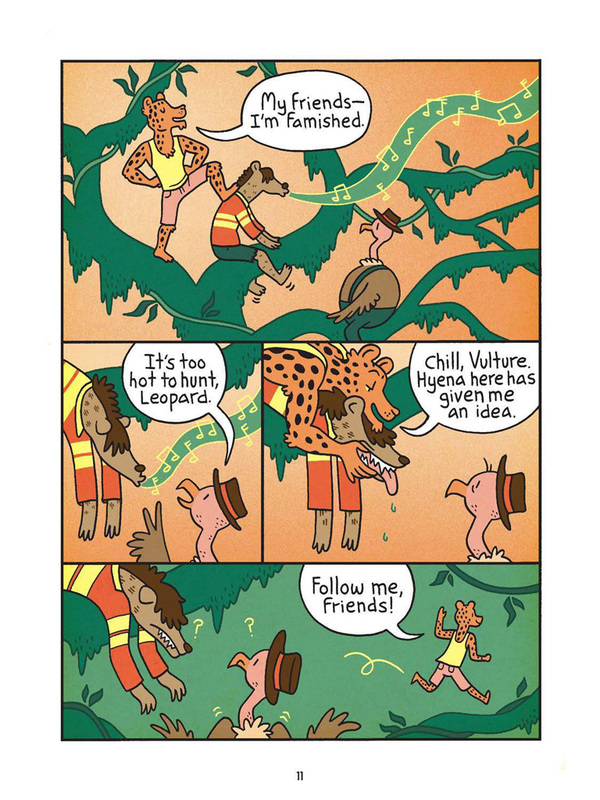 John Hogan wrote that it "will be helpful in schools and libraries, where it will undoubtedly help science classes get the lessons of evolution across to students, but it also is useful to readers looking to finally understand what all the fuss was about." Writing in the School Library Journal, Ragan O'Malley concluded that "one could not ask for a finer contribution to the realm of scientific writing." 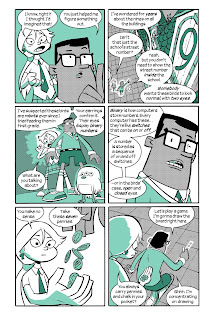 The Gutter Geek column at The Comics Journal summed up that "it does provide a beautiful and engaged foray into this cornerstone text of evolution." Bill Boerman-Cornell wrote that he wished he knew more clearly when the words were Darwin's or the adapter's, but he still found the book informative and helpful. Charles Darwin's On the Origin of Species was published by Rodale Books. 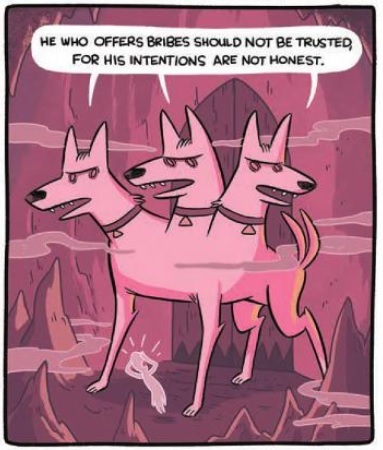 If you have been reading my blog and paying attention, you pretty much know that I think Nathan Hale's Hazardous Tales are some of the best historical graphic novels I have read EVER. This volume, The Underground Abductor, continues that tradition. 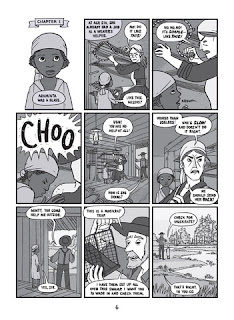 It tells the story of Araminta Ross, better known to most of us as Harriet Tubman, a civil rights activist and conductor on the fugitive slave network called the Underground Railroad. The book spans her whole life, from her time as a young slave through her adulthood when she accomplished a great many brave and cunning deeds. Aside from the expert storytelling and excellent artwork, which is full of affect, action, and meaning, there are two things I really admire about this book. One, it takes a very broad consideration, that of slavery, and puts a very human and personal face on it. Two, it has shown me that I pretty much knew nothing of this remarkable woman's life. It even has a couple of sizable digressions to give the tale more context, one about Frederick Douglass and the other about Nat Turner. A great book informs as well as entertains, and this is a great book, in my estimation. 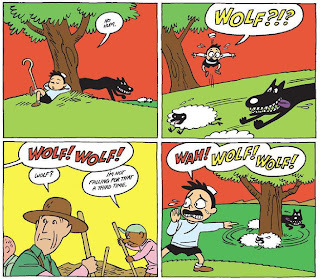 In addition to creating the first four entries in this series, the prolific Nathan Hale also has drawn two other graphic novels, Rapunzel's Revenge and its sequel Calamity Jack. He has also worked on a variety of children's books, including Frankenstein: A Monstrous Parody and The Dinosaurs' Night Before Christmas. He shares a lot of fun artwork and news via his blog, and he speaks about his career in this interview. The reviews I have read about this book have been very positive. Sarah wrote, "I learned so much about Tubman's life - I actually got chills while reading this story as I thought about what a truly exceptional woman she was." JediKermit praised how it "honors the pain and condemns the horrors of slavery, but is still appropriate for the target audience of 5th - 8th graders." Kellee called it her favorite in the series so far, "the most intense of his stories" of "one person’s resilience in the face of pure doom." 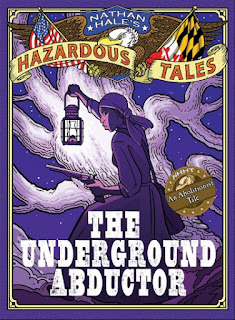 The Underground Abductor was published by Amulet Books, and they have a video preview, teaching guide, and more information available here. Little Robot is the tale of a lost robot and a little girl he meets who is quite handy with tools. Even though one of the main characters is not quite human, it is also a story about friendship, adventure, and dealing with other people. 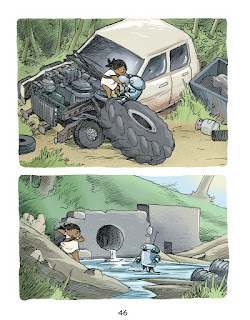 Most of the story takes place in a spare countryside, complete with a junkyard and lots of open space to explore and play. There is no adult supervision, but there is a pretty personable cat, a sinister and frightening retrieval robot, and a lesson learned about respecting your friends' wishes. The story is more fantasy fable than realistic, and I found it quite enjoyable and affecting. 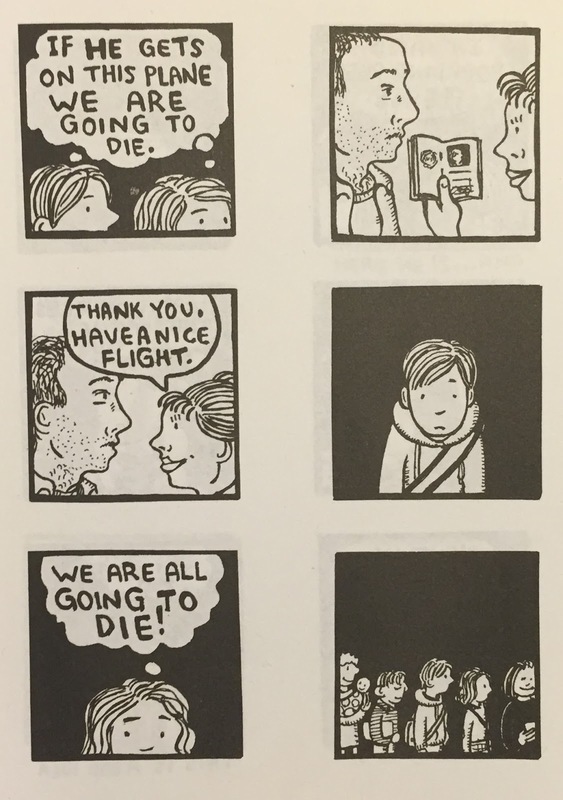 I found myself genuinely concerned for these characters' safety, and I was quite relieved and amused by how the story resolved. 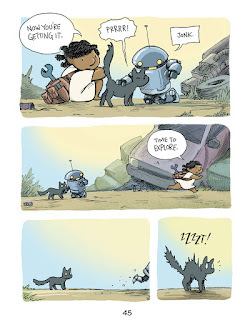 It's sort of a magical, child's version of Short Circuit, told in fairy tale manner, and I mean that in a good way. 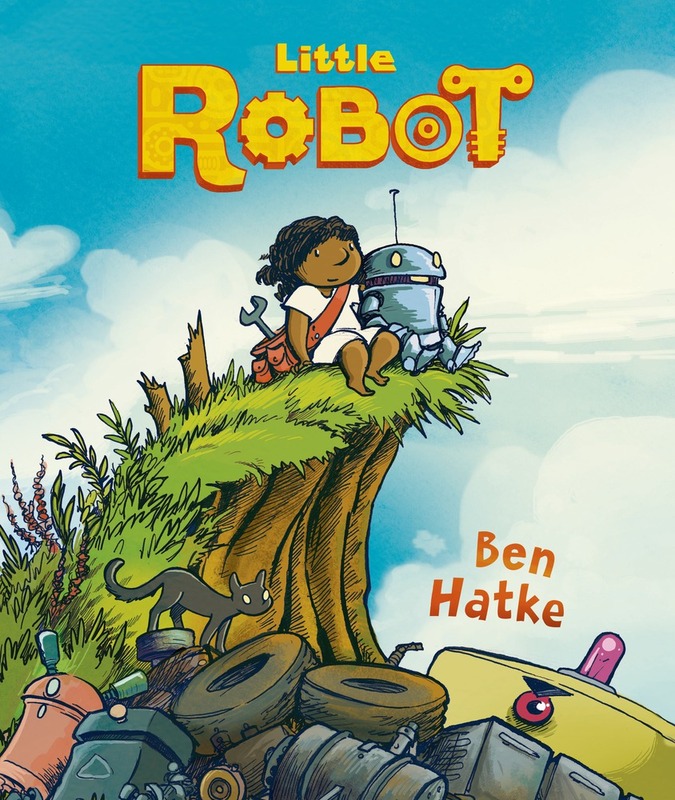 This book's creator Ben Hatke is a graphic novelist and artist known for his Zita the Spacegirl trilogy and the picture book Julia’s House for Lost Creatures. His artwork is simple, clean, and expressive, and I feel it is very pleasing and fun. He speaks more about his work on Little Robot in this interview. All of the reviews I have read about this book have been very positive. Publishers Weekly praised this modern take on a classic adventure, adding that "it’s a maker story, too, with a special spotlight on the girl’s ingenuity." The School Library Journal gave it a starred review, concluding that it was "Highly recommended," and "A pleasantly colorful adventure of discovery and friendship." 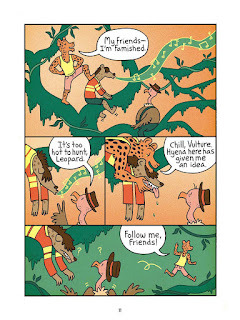 Doug Zawisza wrote that it "celebrates differences and discovers similarities but, most importantly, it gives readers a fun, memorable story with endearing characters." Those interested can learn a lot more about the book by checking out the entries on its blog tour. 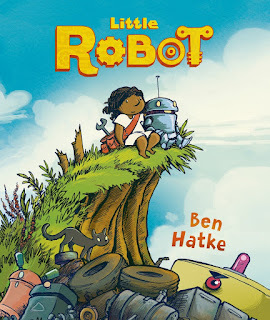 Little Robot was publisher by First Second, who provided a preview and much more here. Others are more serious, such as an account of how Steinke and a friend obsess over a specific passenger at an airport gate and boarding process, as they think he is a terrorist who will kill them all. It is a paranoid, stressful, and compelling scene, which is brutally honest in its depiction of base human sensations. The entire episode is only amplified by the well-crafted storytelling that builds suspense and curiosity. 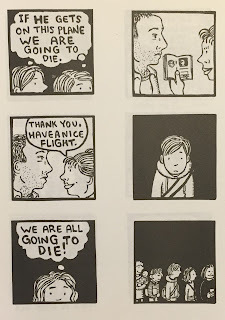 I would not say that this is the most earth-shaking collection of comics I have ever read, but I found the contents very entertaining and uniquely voiced. Reviews I have found for this book have been scarce but very positive. 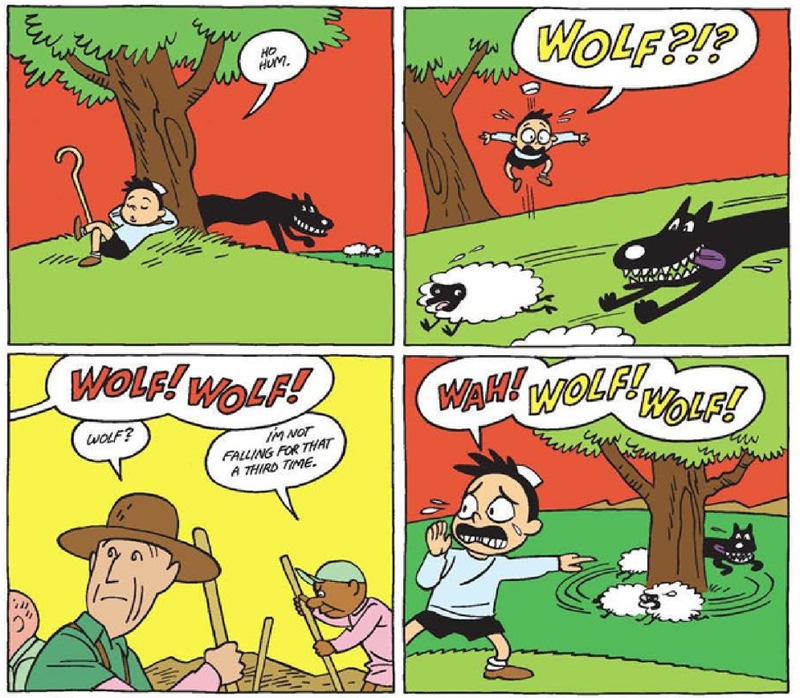 Rob Clough commented that these comics are "the first time Steinke fulfilled his promise as an artist." 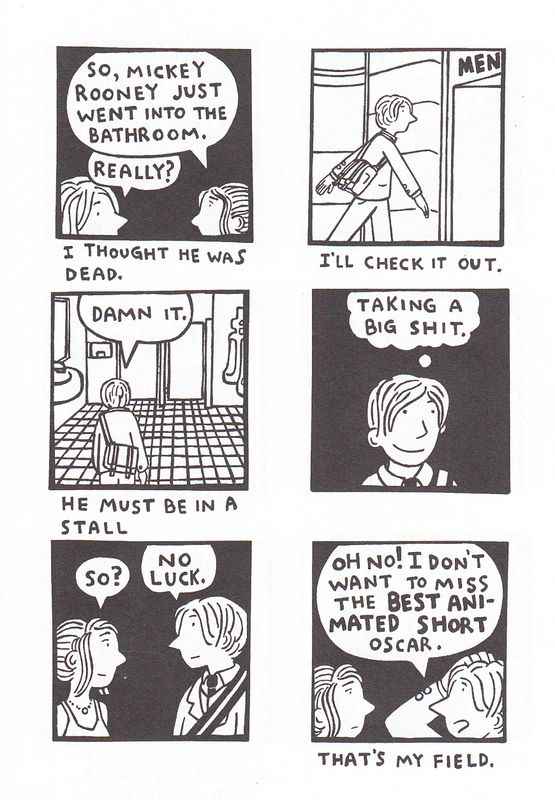 Sarah Morean stated that these comics would be "an excellent addition to any zine library of distinctive quality." Rod Lott wrote that he "read the entirety of BIG PLANS in about 90 minutes, and it left me both satisfied and wanting more"
This collection of Big Plans was published by Bridge City Comics.